This is a phenomenal common snapping turtle life-size taxidermy mount. 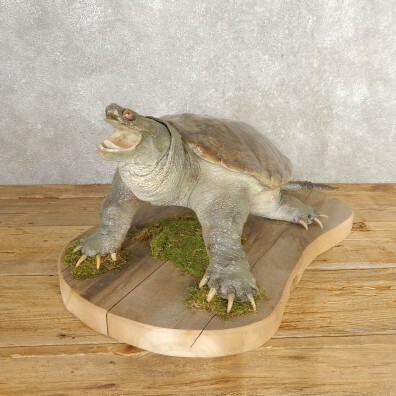 This turtle is posed in an aggressive standing "snapping" position (where their namesake comes from) on a custom wood base. The shell of this massive turtle measures 15" wide and 15.75" in length and the taxidermy craftsmanship is simply outstanding. This turtle would become the centerpiece of any room and impress every guest. 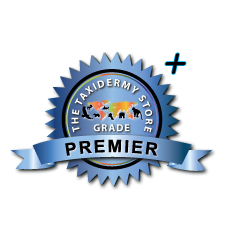 These factors combine to earn this piece our Premier Plus™ overall quality rating. All applicable dimensions are included to help ensure this item will fit within your intended display space.